← Acts 4:23-31 God the Despot? At first glance it looks like Karl Marx drew his Manifesto from verses like these. The redistribution of wealth is a central tenet of Marxism and wealth is clearly redistributed in this passage. Those who want to marry Christianity with Capitalism defend themselves by saying that this passage reports an experiment that failed. In fact, this course of action led to poverty which meant that Paul had to take funds from other churches to prop up the naive and destitute church of Jerusalem. Of course, this reads the bias of the commentators into the text. It is quite possible that the early church was always struggling with poverty and it wasn’t brought about by sharing possessions. A key difference in Christian redistribution of wealth and Communist redistribution of wealth is that the Christian version is voluntary. It may be justifiable for the state to take from the rich to give to the poor, but the church does not ‘take’ it ‘receives’. If the church is to manage God’s resources it must have a God-honouring plan. The church seeks to better people’s lives, so it must reinvest money it administrates sensibly and to eliminate poverty. We know that many times the lack of wealth within a group is due to ignorance about wealth management or how to utilize resources the group possesses. The church must become familiar with what really changes the condition of poverty for the long haul and not short-term. A second point that comes from this passage is that the money was given to a central administrating agency. The church administrated the gifts of its members to God. This is descriptive and not prescriptive. The principle, in my opinion, is that the people of God give at least a tenth of all their money to the service of God. I do not give a tenth to a church organisation, I give my first tenth to a Christian School. This is because my church does not give to the school and I think the school is essential in the fight to stop the church sliding into wrong thinking about knowledge and truth. It is my own belief that every church in the area should support this particular Christian school and understand more fully how to adopt it as one of their ministries. So, I give, but I do not give directly to the church. I support God’s work by directly supporting a Christian ministry which, in my opinion, the church neglects. However, there is something amiss if someone is not freely giving a portion of their wealth to further God’s work in the community. God, we are challenged by the Marxist ideals of helping the poor by redistributing wealth. We often resent the government taking our money and using it for schemes that we find immoral or wasteful. However, the people in the churches have not stepped up and given from their wealth to support alternative schemes and to support those who struggle in their own community. May that change. Please challenge each of us regarding the stewardship of our money. Let us give freely rather than build temporary kingdoms that will die with us. How did the early church respond to poverty? Was their response descriptive or prescriptive? 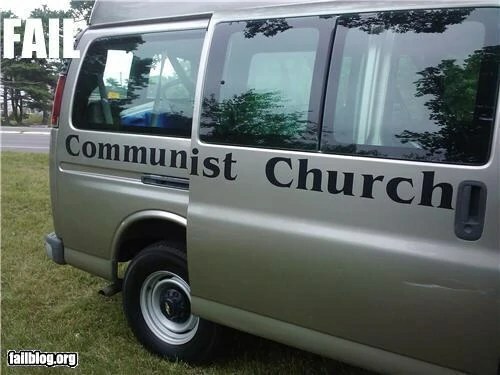 In your opinion should the church or the state be setting the example of how to redistribute wealth? How does your wealth become redistributed among God’s people? 3 Responses to Acts 4:32-37 Are Christians Communists? Thank you for addressing this issue! The distinction between the mandatory redistribution of Communism and the voluntary redistribution outlined by Paul in Acts 4 was most helpful. 4. It is all God’s but man is greedy and corrupt. This is for a long discussion. 5. My giving is limited but from the heart and faithful. I struggle to get to ten percent but we are trying. Mean time we stay the course to serve the Christ.